Our expansive party room is available to hire for all private functions from work and business events to full scale family parties and celebrations. With arrangements to suit you, our skilled events manager can coordinate every step to ensure a night like no other, with your own PA system, full Italian menu and wait staff to handle your every need. Your own private full service bar can serve up spectacular cocktails, fine Italian and world wine and of course champagne. 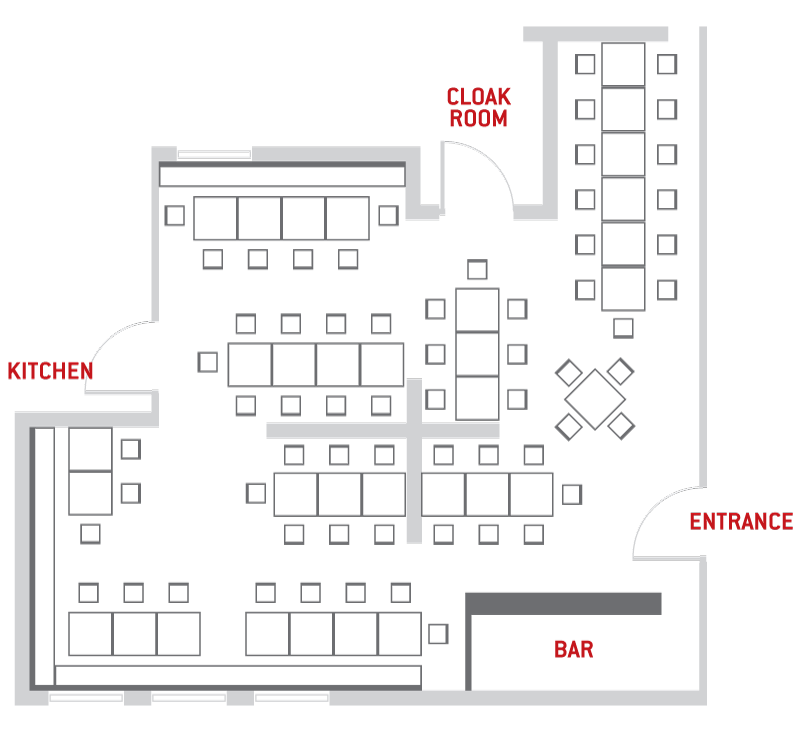 Below is an indicative plan showing layout of the party room. We are happy to configure the room to suit your requirements and do not charge a venue hire fee like many other Edinburgh party room facilities. To arrange your event with us, contact us by phone on 0131 225 1740, via our contact form or email us at dine@vittoriarestaurant.com.